The back room of the Elevator had a make-shift second floor. 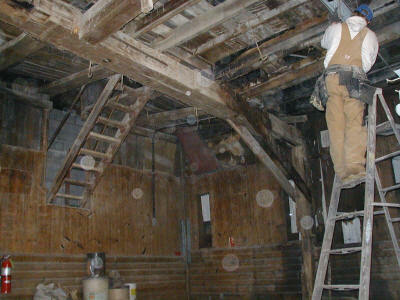 A stairway came around the back and up through the rear wall. The second floor was very shaky at best. 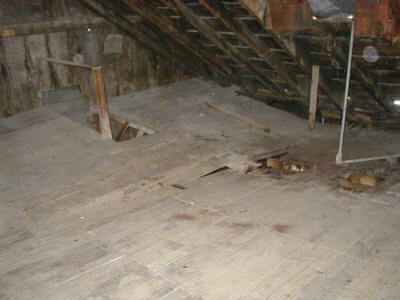 Leaks in the roof and walls rotted many of the floor boards. 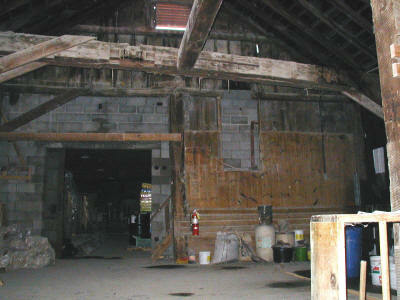 This is the second floor looking toward the north wall of the Elevator. This wall is the outer wall of a grain bin. The doorway was added. 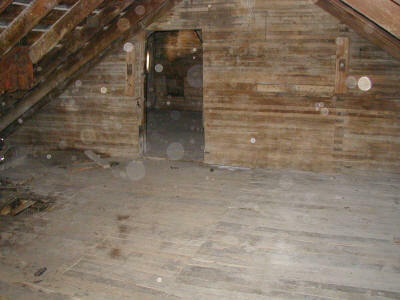 This is the second floor looking toward the north stairwell. The one foot square beam holding up the floor is sagging was replaced. 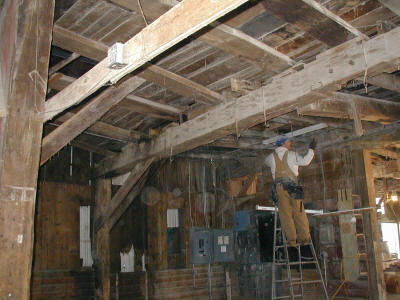 With the second floor removed, the back room opens up into a cathedral ceiling. 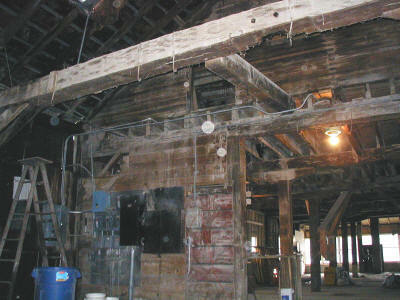 This cross beam is where the turn style was located that ran the pulleys and belts.